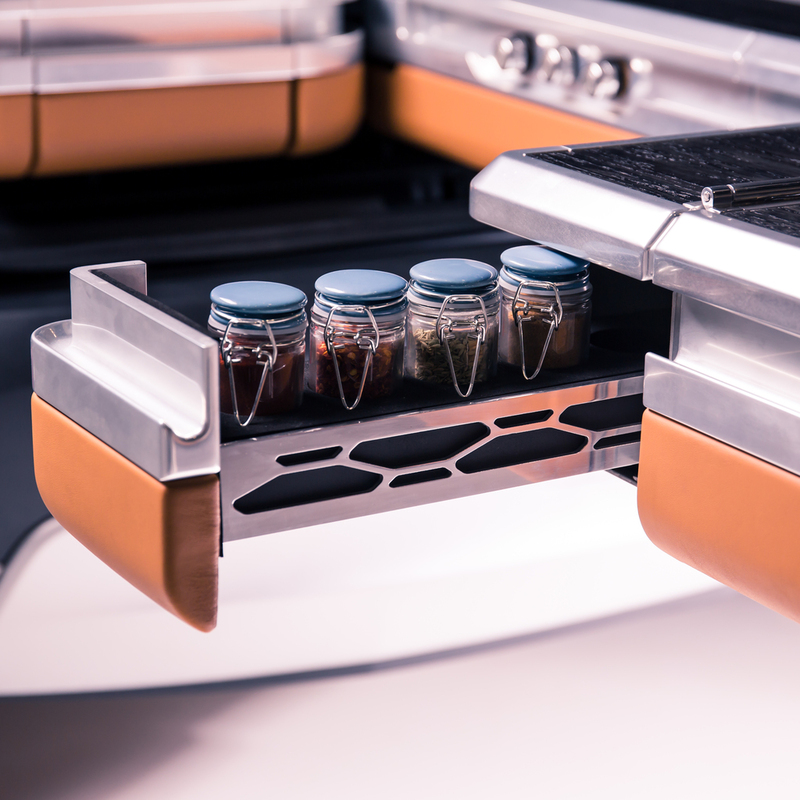 Chef and TV personality Jamie Oliver and JLR have created the ultimate kitchen on four wheels highlighting the versatility of a Land Rover Discovery. 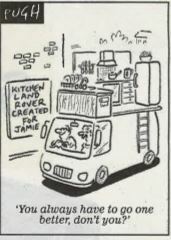 Jamie’s bespoke family SUV comes with a host of cooking features including a slow-cooker, barbecue, ice cream maker, olive oil dispenser and will even churn butter as you drive. Our Special Vehicle Operations (SVO) worked with lifelong Land Rover fan and customer, Jamie, to bring his vision to life. 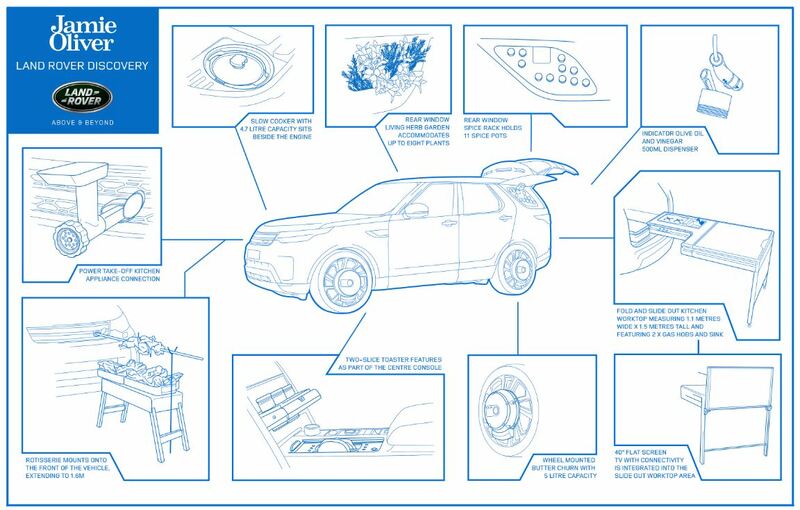 The result is truly unique – it’s the only Discovery in the world that has a toaster in the centre console and a rotisserie driven by the power take off. Other ingenious features include a slow-cooker that sits beside the engine, a pasta maker, a gas hob and a deployable dining table and worktop. There is even a herb garden and spice rack in the rear windows. With up to 2,500 litres of luggage space and clever storage for 21st century family essentials, the versatile seven-seater Discovery was the perfect vehicle for SVO to modify. With plenty of room for a custom-made aluminium sink, a flat screen TV and deployable kitchen worktop that also doubles as a dining table. Further touches include a spice drawer, a bespoke pestle and mortar and a Land Rover barbecue. Jamie’s three-part-series on his Food Tube channel will detail the build process and show him cooking for his family with the bespoke Discovery. The first episode goes live at 18.00 GMT on Thursday 5 October.